In 2015 the ST Foundation has worked on the creation of a new informatics course for children aged 9 up to preadolescents aged 13, with very different cultural backgrounds and socio-economic conditions, living in very diverse context, from urban to semi-urban to rural. The pedagogical approach was thought to be easy to learn and follow through for the DU educators, as well as extremely flexible and modular. 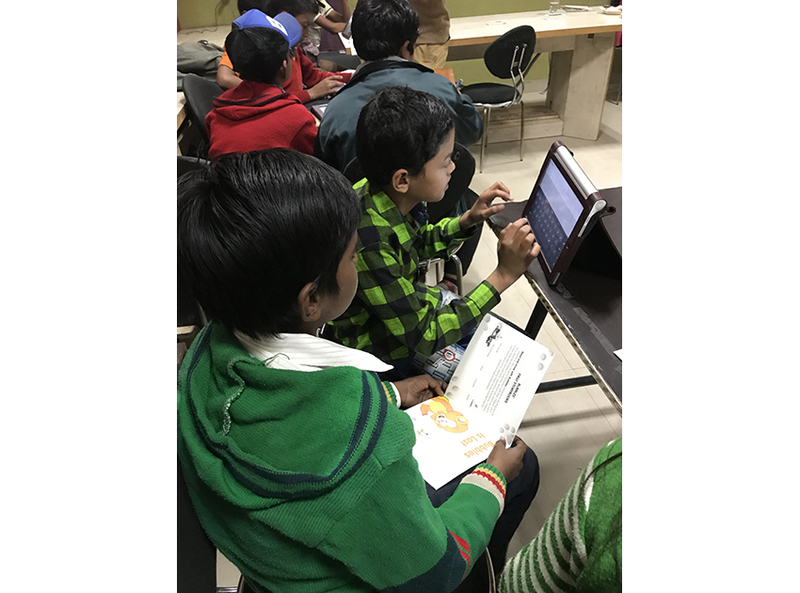 The main objectives are the same of the general DU program – familiarization with ICTs and recognition of their potential for self-directed education and everyday problem solving through the use of a new tool: the Tablet. The pedagogical pillars of this program are exploratory learning and collaborative learning. In a nutshell, tablets are presented as a means to explore and learn with others. The Foundation has partnered with a Swiss organization named Seed that was in charge to develop the content of the course and the innovative pedagogical approach. The course was tested in two selected locations in India, in a rural area 200 km north of New Delhi. Pietro Fox followed directly the testing phase with a two weeks’ mission in April 2015. The final result of the test was then used to finalize the content of the training material. As of September 2018 we can count on 9 fully operational centers.